We’re in for another duel of the ding-a-lings tonight, when glacial disgracial Montana takes on this year’s wildcard team: Florida! Nobody knows where they came from – or why they won’t leave! 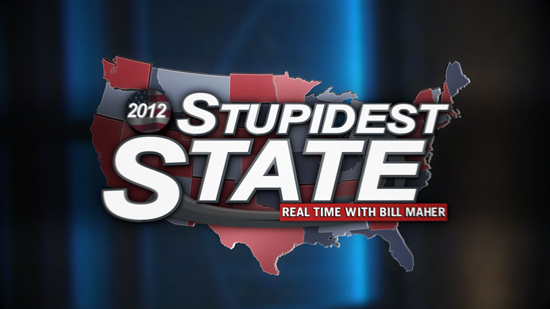 Watch tonight’s show for the tournament’s final feeble-minded face-off and then cast your vote for the Stupidest State in America! The winner will be announced when Real Time returns from hiatus on April 13.